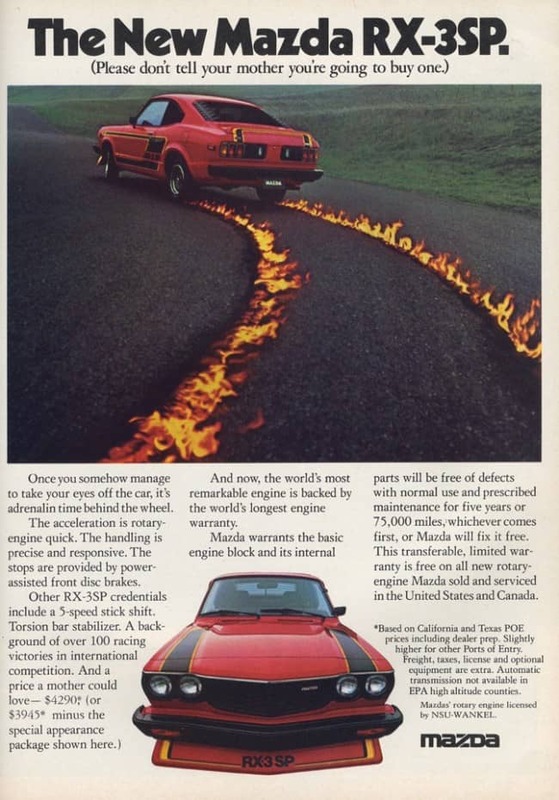 The 7 Fastest And Weirdest Cars and Their Ads of the 1970s! 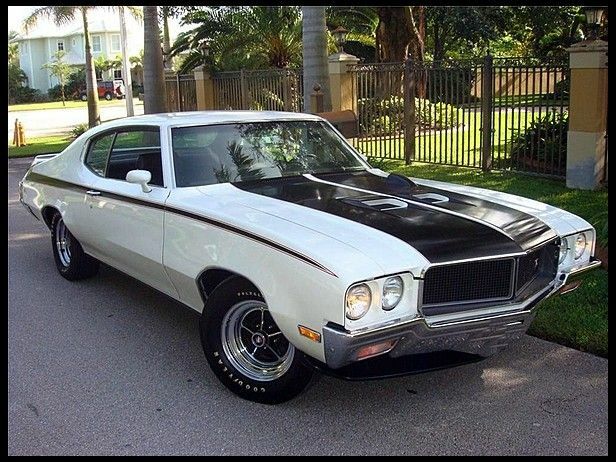 What Were The Fastest Cars Of The 70s? And Which Ones Were The Weirdest?! The 1970s ushered in a period of lackluster performance that slowed cars down for decades. 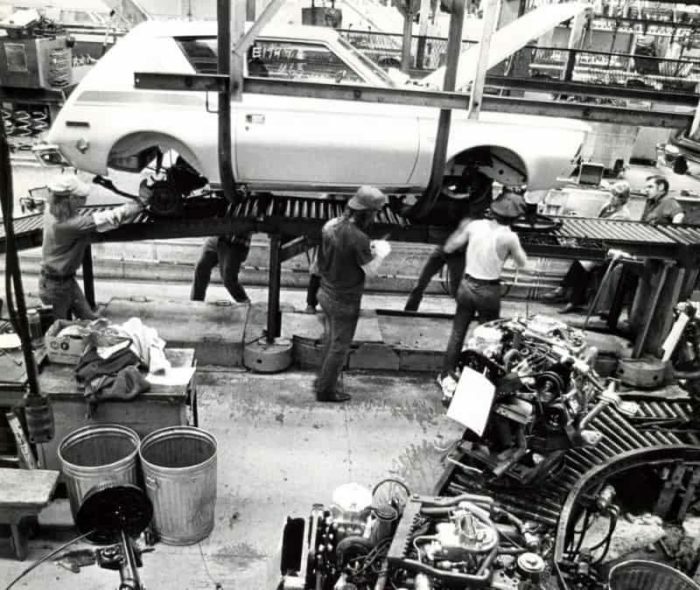 By the time the 73/74 model years began, an energy crisis and the United States Clean Air Act were at wide open throttle as they wreaked havoc on our beloved high performance pony cars and the auto industry in general. 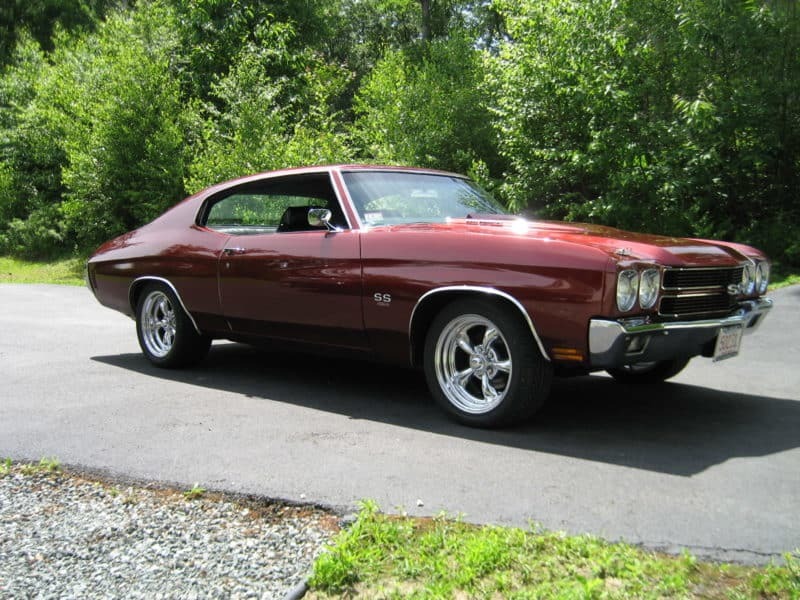 The unfortunate result was the death of American muscle cars. And regrettably, it would take decades for technology to catch us back up to the peak of performance that we recognized as the muscle car era. 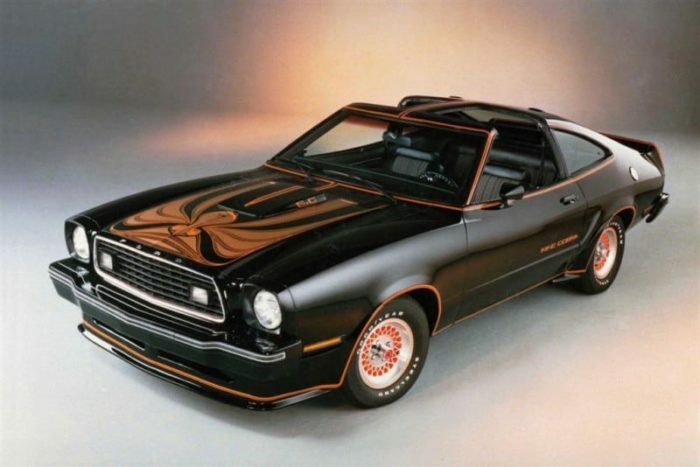 The Top 7 Fastest Cars Of The 70s! 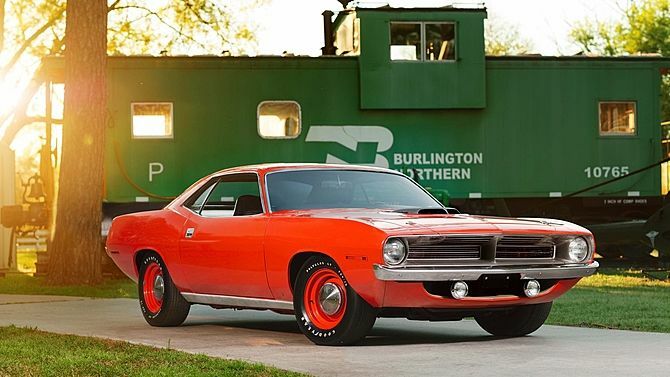 Perhaps the most famous muscle car of all time, this LS6 big block powered sled shot from 0-60 in just 5.4 seconds, with a ¼ mile time of 13.1 seconds. 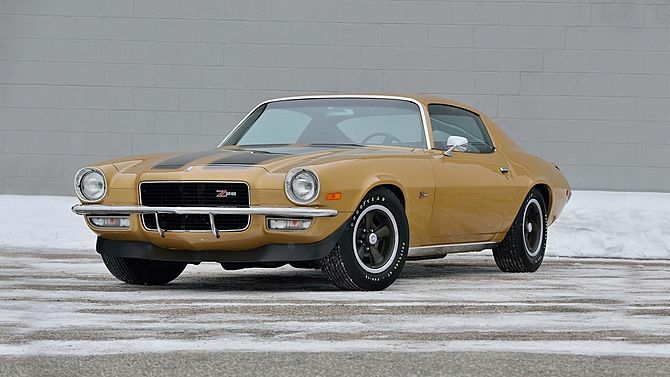 This Chevrolet beauty was able to reach these quick track times because of the monstrous 454 cubic inch engine that made 450 hp and 500 lb-ft of tire shredding torque. There are only a few names which are synonymous with speed who are also capable of striking fear and envy into everyone within earshot. The Hemi is one of them. This massive 426 cubic inch big block powerplant produced 425 horsepower and 490 lb-ft of torque. 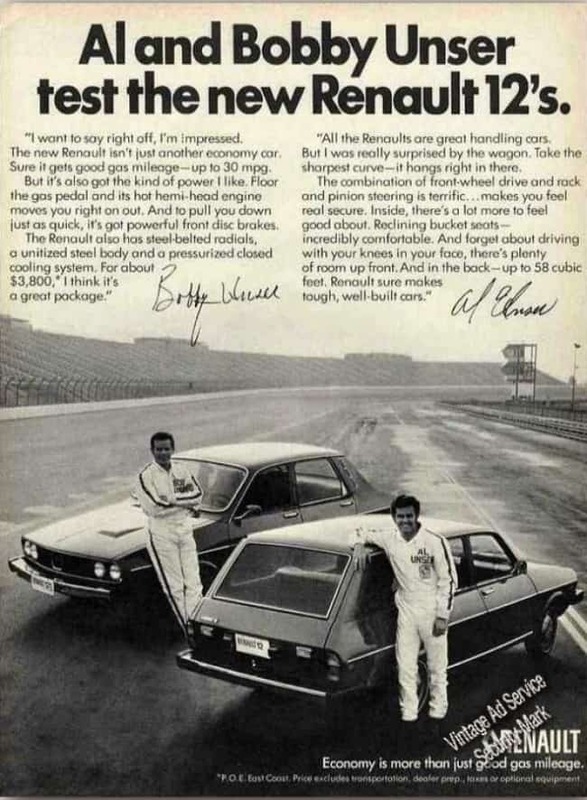 This combo helped move cars like the Cuda from 0-60 in only 5.6 seconds, while running a respectable (even by today’s standards) 13.5 second ¼ mile. Arguably one of the coolest cars ever made. This list wouldn’t be complete without . 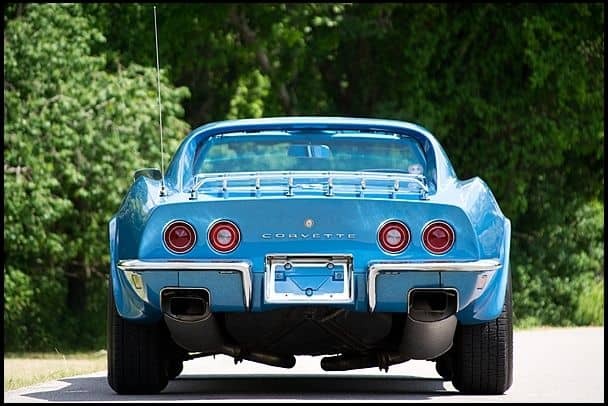 The 427 cubic inch big block was replaced with the bigger 454 that helped launch the Corvette to a ¼ mile time of just 13.8 seconds. What’s more, the car went from 0-60 in just 5 seconds. While not the fastest car in the world, it wasn’t slow. Yes, Oldsmobile and . GM lifted the 400 cubic inch engine restriction that plagued the previous years, allowing these “A body” cars to go all out. When optioned with the 455 cubic inch engine, these 370 horsepower classic cars were capable of running a ¼ mile in just 13.9 seconds. 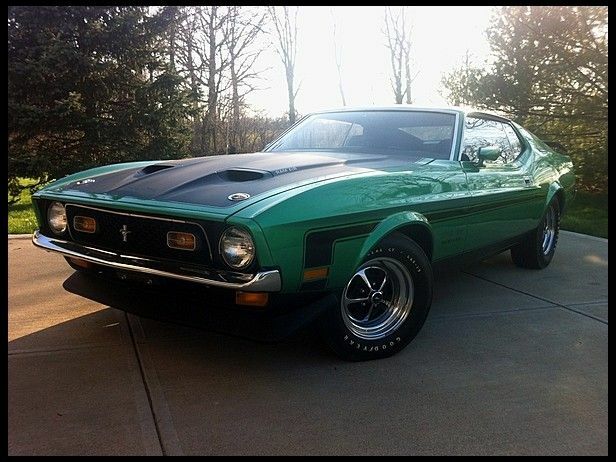 This list includes the venerable 429 Cobra Jet Mustang and Torino. These ground pounding big block Fords produced 370 horsepower, and were able to run 13.9 second ¼ mile times. 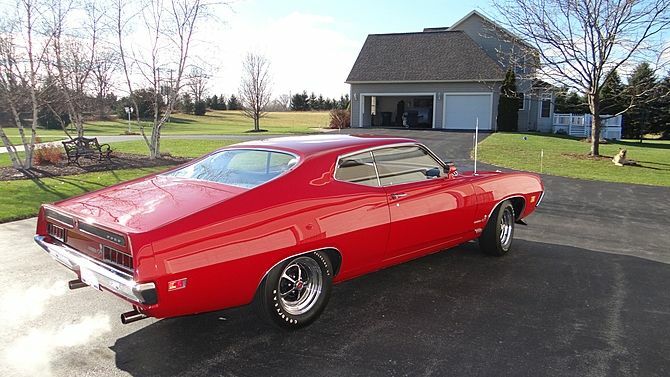 Definitely some of the best 1970s car to roll out of the factory. Okay, so now you’ve seen the cream of the best cars crop and we’ve ranked the absolute fastest – let’s take a look at some of the real weirdo cars that came of the decade (all for the sake of balance, of course). The 1970s were not a golden age for car maufacturers. More cars missed the mark than hit it. Here are 7 of the worst offenders from this period in auto history. The days were over when carmakers could churn out cars that were just slight updates from the previous model year and rake in large profits as a result. There were now safety standards that needed to be met, the requirement to convert all engines from running on leaded to unleaded fuel, and the reductions demanded of tailpipe emissions ate into their profits at a voracious rate. Not having money to invest in new models, or not having enough money to launch new models properly throughout the 1970s was a consistent. The net result are cars we see today as failures or jokes on which companies were actually pinning their futures. 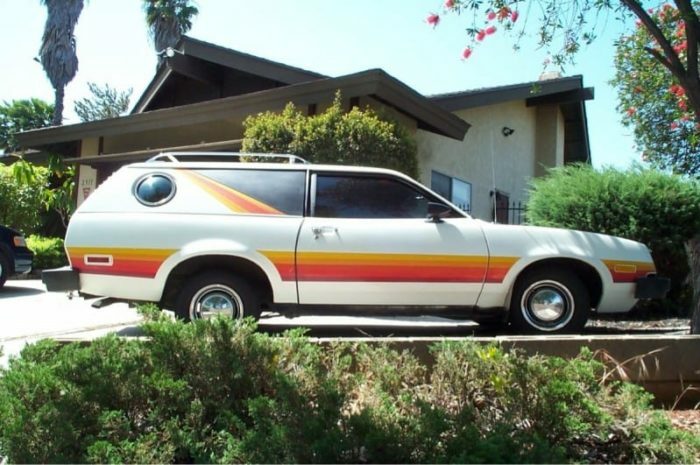 The 70s were the peak of the van customization trend. But big, full-sized vans had a voracious appetite for gasoline. Ford planners thought they could reach the van market with a factory-customized frugal wagon. The conversion was based on the panel van version of the wagon (no side windows, until the bubble window was installed), with groovy graphics and “styled” wheels. The rear cargo area was covered in the same carpet as the wagon – you had to add your own shag carpeting, water bed, and disco ball. They’re still cool cars…in a very weird sense of the word. In what should have been a cautionary tale to John DeLorean’s DMC, Malcolm Bricklin, the man who brought Subaru to the US, wanted to build his own sports car. He needed a cheap place to built it, and the plant ended up in New Brunswick, Canada (DMC would set-up in Northern Ireland), used parts off existing AMC cars (DMC used Renault), had problematic gullwing doors, production and quality issues, and the general inability to produce enough cars to achieve profitability. 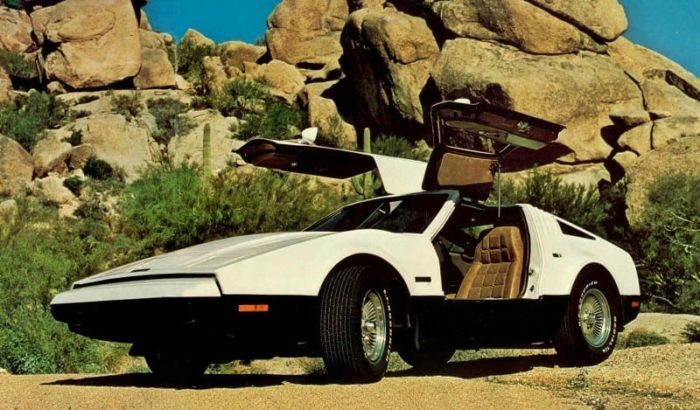 In an ironic twist, the Canadian government sold a commemorative coin and stamp of the Bricklin, which was more successful than the car itself. Honda had brought to America two other version of its 600 series cars, the tiny but entertaining S600 sports cars (now highly collectible) and the Mini Cooper-ish N600 sub-compact car. As there were no Honda Automobile dealers until the launch of the Civic for the 1973 model year, the 600 cars were sold by Honda Motorcycle dealers. Not surprising, really, considering that the cars were powered by a 36 hp 600cc twin engine. What set the Z600 Coupe apart from its siblings was its styling, looking all the world like a brightly-colored basketball shoe. 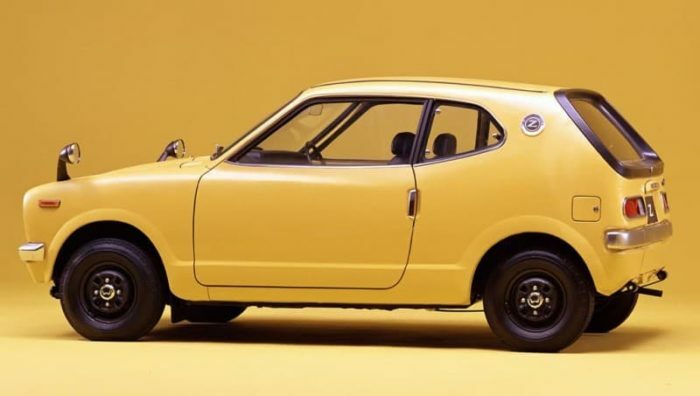 The oversized rubber strip around the rear window didn’t help its appearance, and it may well have been Honda’s first experience that Americans didn’t share the same sense of whimsy about their cars as did their Japanese counterparts. Datsun enthusiasts and dealers alike were scratching their heads of the appearance of the 1974 F-10. After all, Datsun had brought the 1600/2000 convertible sports car, the 240Z GT car, the 510 sports sedan to the US, and all were great-looking, easy to sell cars. Now comes Nissan’s first FWD model for the US market. On paper, the car was fine. 1400cc A14 engine, front wheel drive, manual and semi-automatic transmission, four-wheel independent suspension. But the exterior looked like the vision of the car of the future from a bad sci fi movie. Nissan had a few more stumbles before it got its act together (like the first 200SX) before once again becoming the manufacturer of some of the most well-designed cars in their categories. The fuel crisis of the early ’70s hits and Chrysler has to find a way to push cars based on its B-Body platform, which had been around since 1962. The strategy selected was to pursue the most upscale buyers and load the cars with every imaginable feature. While the car was small versus what Chrysler had been producing, it was no small car, particularly one that was targeted at a driver and a single passenger. Chrysler landed on the name Cordoba, both a city in Spain and a coin in Argentina. The entire styling, inside and out, was of a very Spanish baroque style, giving one the impression they’re sitting in a dark booth in a Spanish restaurant. All they needed were bull fighting posters on roll-down shades. 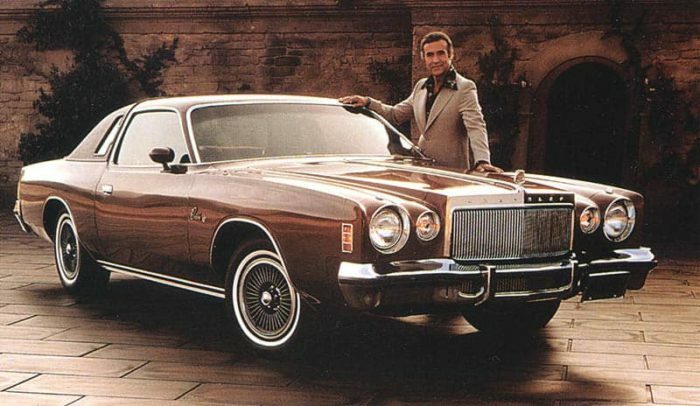 What drove this car from irony to out-and-out comedy was the hiring of Mexican actor Ricardo Montalban (Fantasy Island). 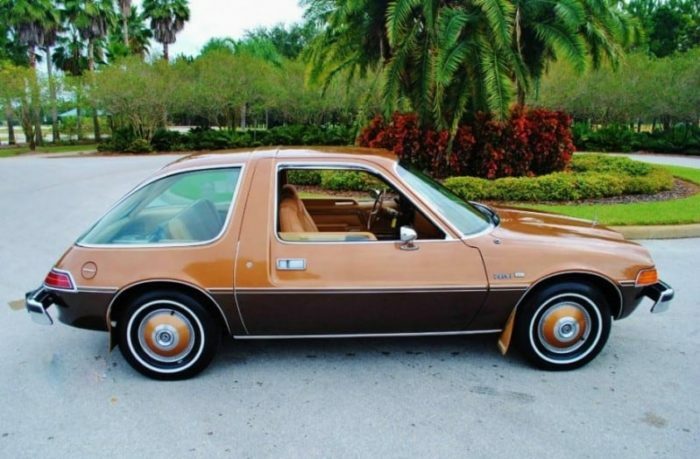 Any mention of “rich Corinthian leather” is certain to draw a chuckle for anyone around while the Cordoba ads were shown on TV. So you’re a Ford executive and no one is taking seriously that the Pinto-based compact car you’re selling is really a Mustang. You shoe-horn in a 302 V8, which between the de-rating from SAE Gross to SAE Net and power losses related to emissions controls and the use of unleaded gas produces a pathetic 133 hp. OK, better yet, take that same car, add zero upgrades, not even better shocks, and sticker the crap out of the car and call it (gasp!) a . Calling it a Cobra was like selling a customer Filet Mignon but giving them ground chuck. 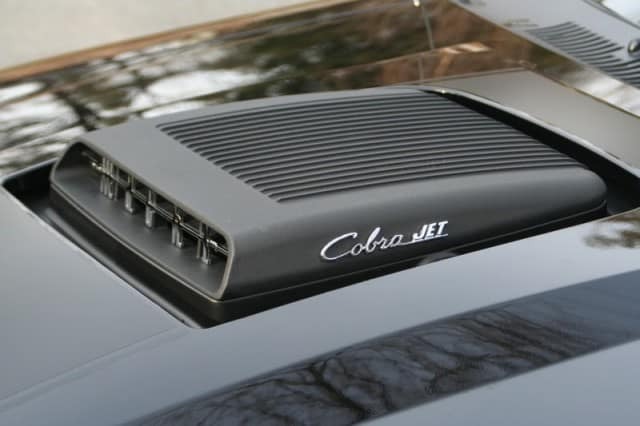 Only because of the strength of the Cobra’s history and the fact that no one paid attention to the Mustang II probably helped minimize the damage. When carmakers are in dire straits they often go for the “Hail Mary” play and hope for the best. 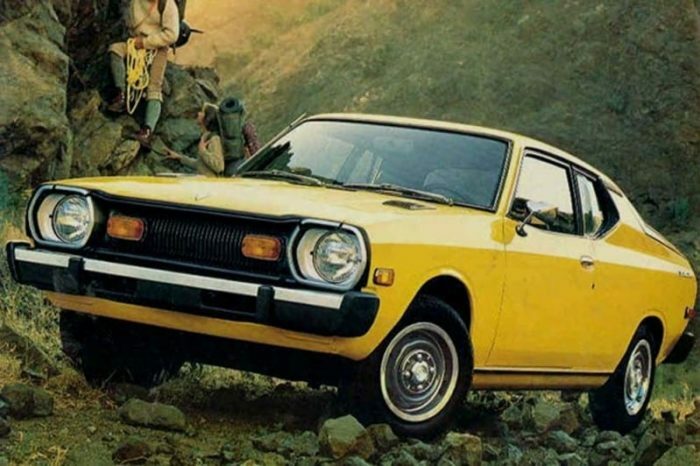 AMC looked at its competition, and saw both GM and Ford struggling with their compact cars, but the Japanese manufacturers were doing very well. What AMC found was that Americans like small cars, liked the reliability of Japanese cars, but found the cars too small. (By the way, that’s due to laws in Japan to determine the maximum width of a car. Early imports to the US were still built to that rule, but now there are different models for Japan and the US). Short in length but wide in width. And power it with a Wankel engine. The two possible rotary engine suppliers dropped out and AMC installed its venerable six. In the end, the styling was just a little too far out and AMC didn’t have the market power to convince buyers to even come into their (limited) dealerships to test drive the cars. The ’70s were a low point in car advertising as well as for cars. We’ve collected some of the cheesiest ads from the period, including everyone’s favorite. These ads range from celebrity endorsements to outlandish claims to comparisons between cars that have no business being compared. Best of all is one of the first cross-promotions between a car company and a clothing company. Neat stuff. Ah, the Cordoba makes a second appearance on this list! 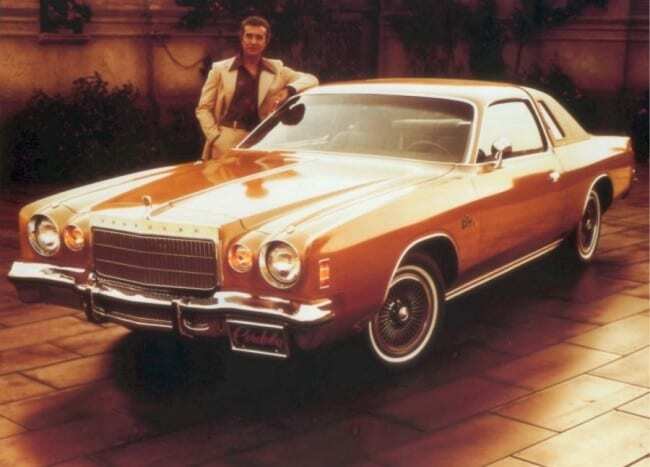 What may be the most famous car commercial from the 1970s (and perhaps one of the most famous of all ads from the 1970s) are those done by Ricardo Montalban for Chrysler. In those ads, the Mexican-born actor smoothly delivered the pitch for the Chrysler Cordoba personal luxury car, including his now famous line about “rich Corinthian leather.” What’s funny about that is one, that although everyone thinks the line is “rich Corinthian leather”, it’s actually “soft Corinthian leather, and two, there was no such thing as Corinthian leather, or at least there wasn’t until it was invented by Chrysler’s ad agency. Check out how Audi tries to align itself with a much more expensive car (you’ll see more of that later). Apparently the feature – that the Audi was fitted with rack and pinion steering – was the only point of differentiation that the copywriters could come up with. 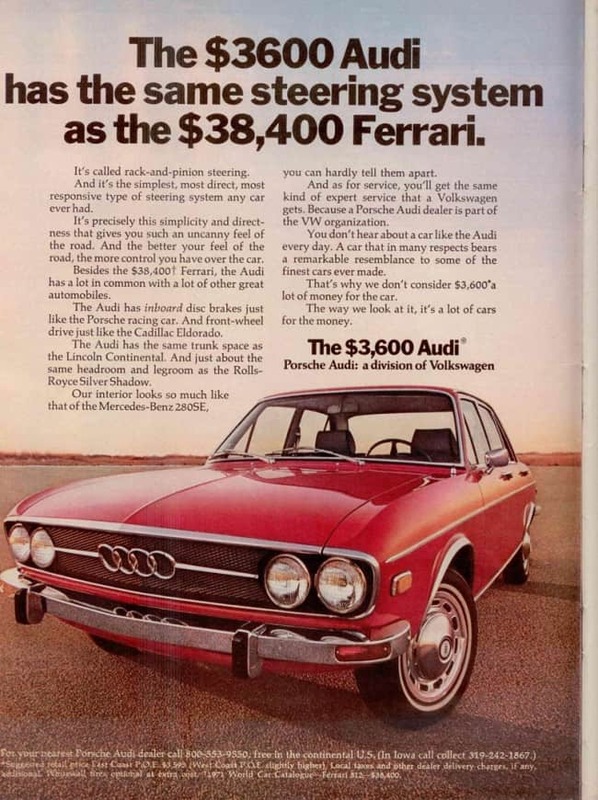 And it’s certainly not likely that Audi and were the only two cars sold in the US with rack and pinion steering at that point, so clearly it was simply an attempt to align the Audi name with a more premium brand (not such a problem today). This ad stretches our date range a bit, but it’s worthwhile to include. Lee Iaccoca, who was then running Chrysler, was personal friends with Frank Sinatra. To launch the new Imperial, Iaccoca asked Sinatra to participate with a special Frank Sinatra Signature Edition. But this was more than a name tag and a special paint color. 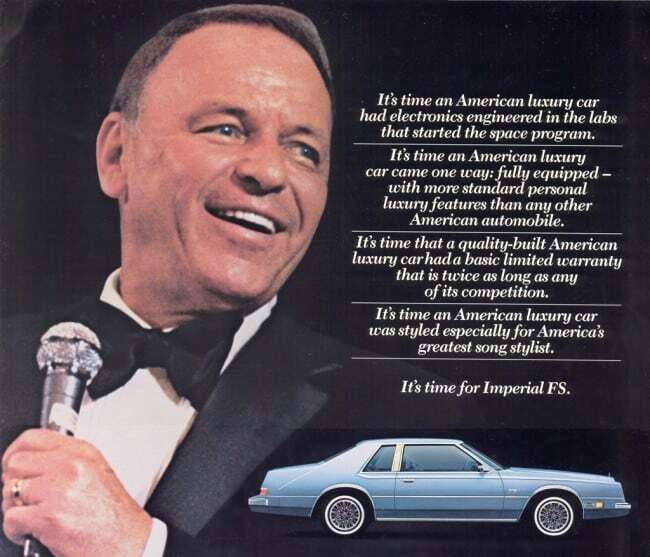 The Sinatra Imperial came with a storage case that matched the interior of the car packed full of special Frank Sinatra recordings on cassette. 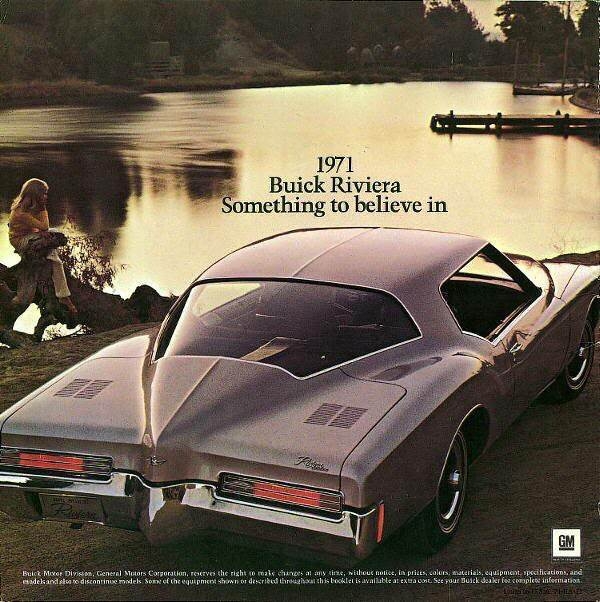 I’ve always been a fan of the boattail Buick Rivieras. They’re among the last of the GM cars that truly had its own identity. Soon all models would be homogenized to the point where you’d need to walk up to the car and read the badge to determine the make and model. But let’s put all that aside for a moment. Take a look at the headline. Would you really put your faith into a 1971 Buick? I didn’t think so. As the smallest of the car companies in the US (the Big Three plus ) the company searched for ways to leverage their products in such a way that information would travel socially, and not just through mass advertising (and in that way they were ahead of the curve). 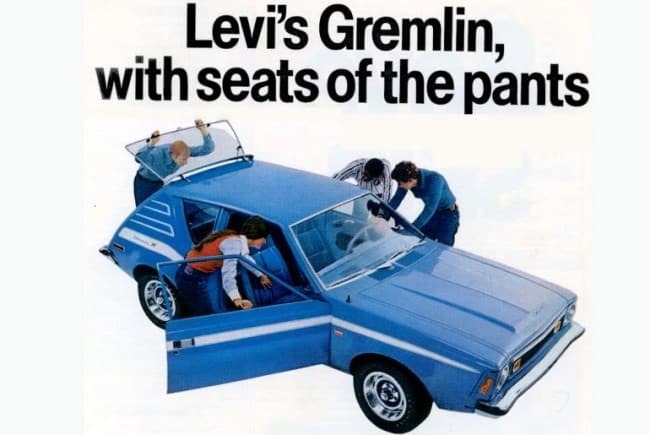 AMC forged a partnership with Levi’s to provide their denim material and their name for the upholstery first of the AMC Gremlin (and later in the Pacer). Seems hard to believe now that a denim interior would be a selling point for a car. 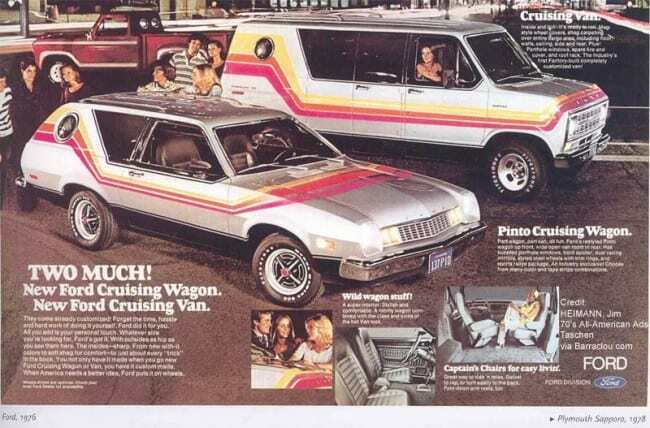 We’ve already got the Ford Pinto Cruising Wagon on this list but we thought you’d like to see its partner, the Ford Cruising Van. I love the fresh-faced young people in this ad, clearly law-abiding, non-promiscuous young adults who use their Cruising vehicles just to meet up with friends and never do anything in the van or wagon that they wouldn’t tell their parents about. Yeah, sure. This is one of my favorite ads of the era. 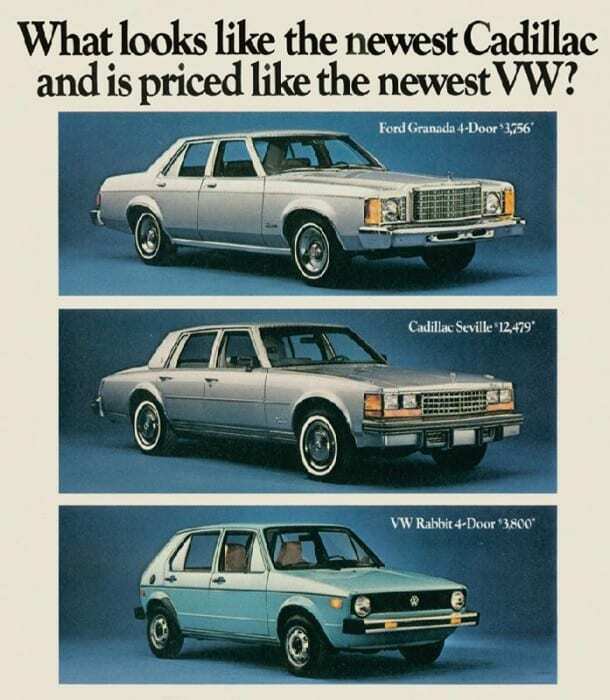 In the layout Ford compares the Granada to a Cadillac, based on a slight similarity in appearance, and then compares the price of the Granada to the price of a Volkswagen Rabbit. The goal is to lead the consumer to believe that for the price of a compact car they can head on down to their local Ford dealer, purchase a Granada, and their neighbors will believe that they’ve purchased a Cadillac. That is as long as their neighbors live at least one-half mile away and their view is at least partially obstructed by bushes and trees. Did anyone really buy this story? Did the team that created the ad even believe it themselves? Cool car and cool imagery. 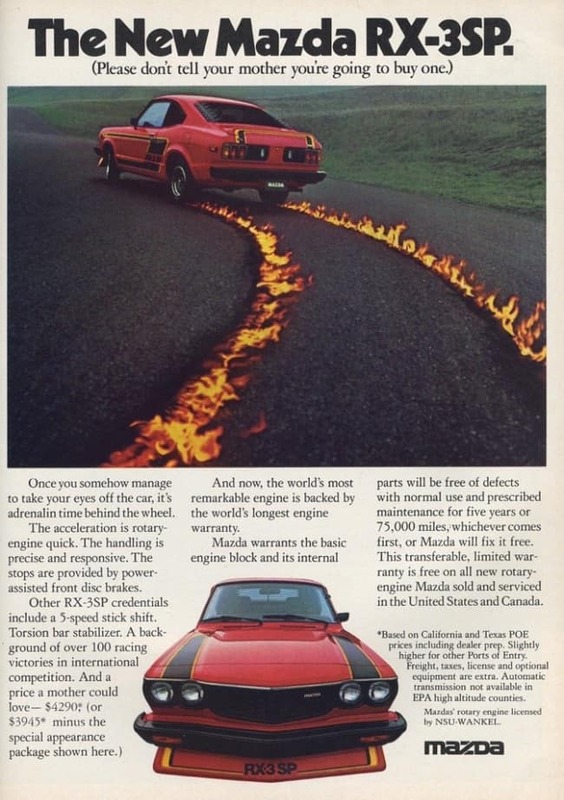 There’s, of course, no way that you’d ever be able to run an ad like this today unless your car’s tires actually set fire to the pavement. The part of this ad I find strange is the subhead: (Please don’t tell your mother you’re going to buy one). OK, this isn’t a ZL-1 Camaro or a Boss 429 Mustang, it’s a 95 hp compact car. And besides, what’s mom have to do with this? Were they targeting young men who lived in their mother’s basement? In an effort to convince Americans that Renaults weren’t flimsy European cars unsuited for American roads they enlisted the Unser brothers, Al and Bobby, who together had won the Indy 500 seven times. After all, two All-American race car driving brothers should hold sufficient sway with the public to convince them their perceptions of Renault were incorrect. Take a minute and read the copy and see if you think its sounds like race drivers fron New Mexico, or a copywriter in NYC attempting to write text that reads like it was written by race car drivers from New Mexico.